Pena began his career at Gestamp in 1998. Spanish metal parts supplier Gestamp Automocion, which began trading on the Spanish stock market in early April, named Francisco Lopez Pena as CEO. Pena, 58, Gestamp's CFO since 2008, will assume his new position Jan. 1, a company spokesman wrote in an email to Automotive News. 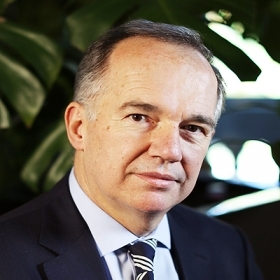 Current CEO Francisco Riberas, 53, will retain his duties as executive chairman. Pena began his career at Gestamp in 1998 as director of corporate development. Before Gestamp, he held a number of roles in the industrial mining and textile sectors, the company said in a statement. Gestamp, established in 1997, makes pedal systems, car doors and other parts. It has 13 r&d centers and 102 plants worldwide and more than 36,000 workers. Headquartered in Madrid, Gestamp ranks No. 30 on the Automotive News list of the top 100 global suppliers with worldwide sales to automakers of $7.94 billion in 2016.